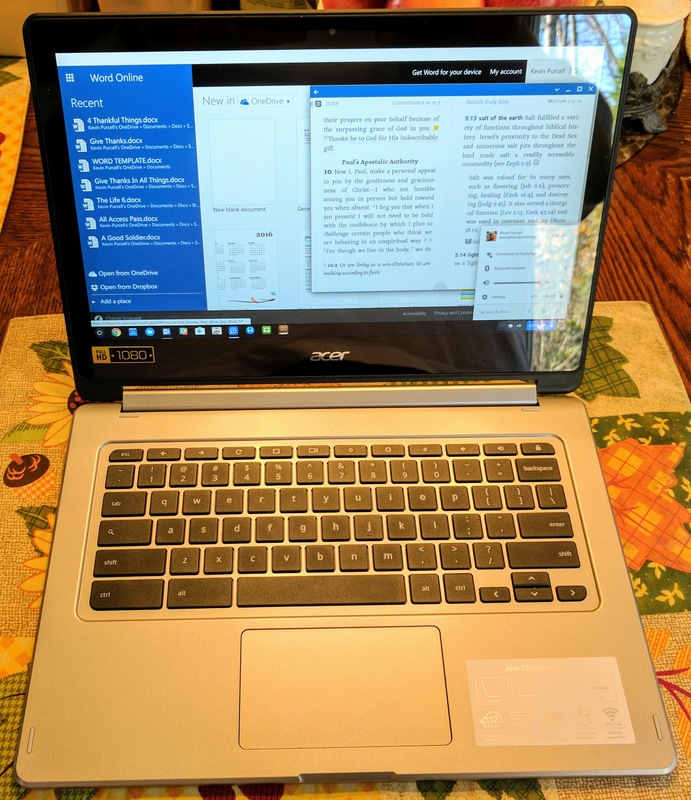 The HP Stream 13 notebook computer looks and acts a lot like a Chromebook except for one big difference. It runs Windows 8.1 instead, potentially opening up a lot of options for buyers. This also adds some complexity, like the need to run antivirus/anti-malware software and more space hungry software. These differences between Windows and ChromeOS make a Chromebook so compelling to fans. 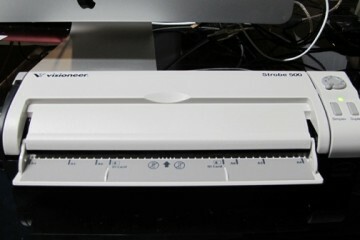 How does this machine hold up as a Windows PC and how does it compare to the most popular Chromebooks available today? 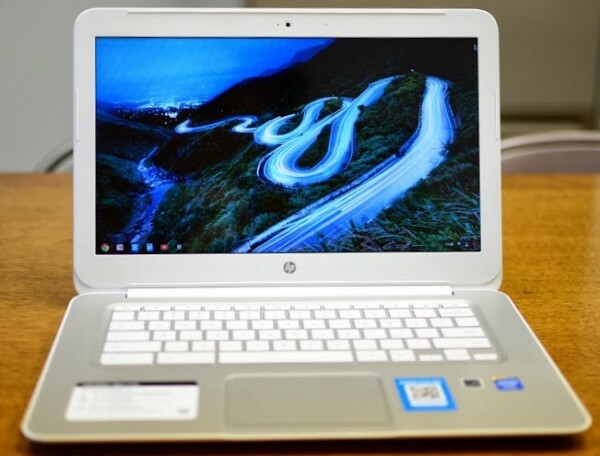 Is the HP Stream 13 an adequate Chromebook Killer? 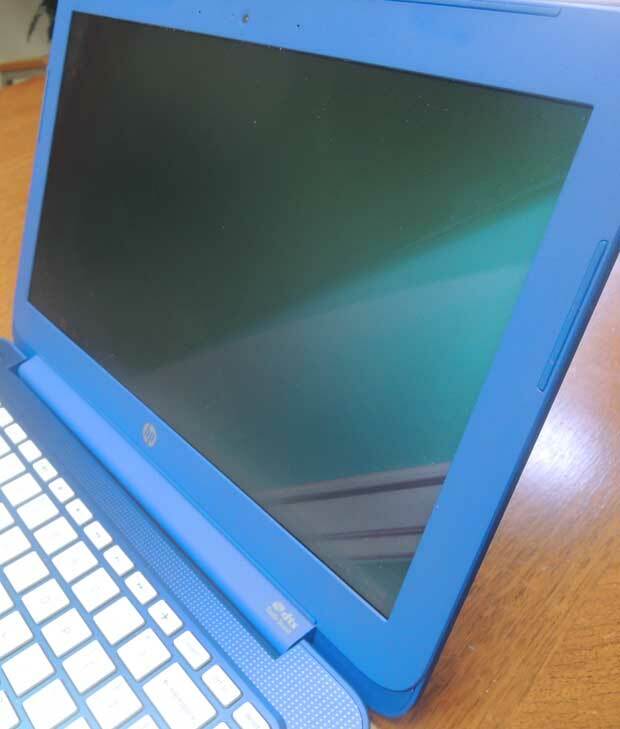 When HP first introduced the HP Stream 13 Windows 8.1 notebook computer it begged comparison to Chromebooks for a few reasons. First, the HP Stream 13 looks an awful lot like their popular HP Chromebook 14 with a shiny new paint job, smaller screen and other minor differences. 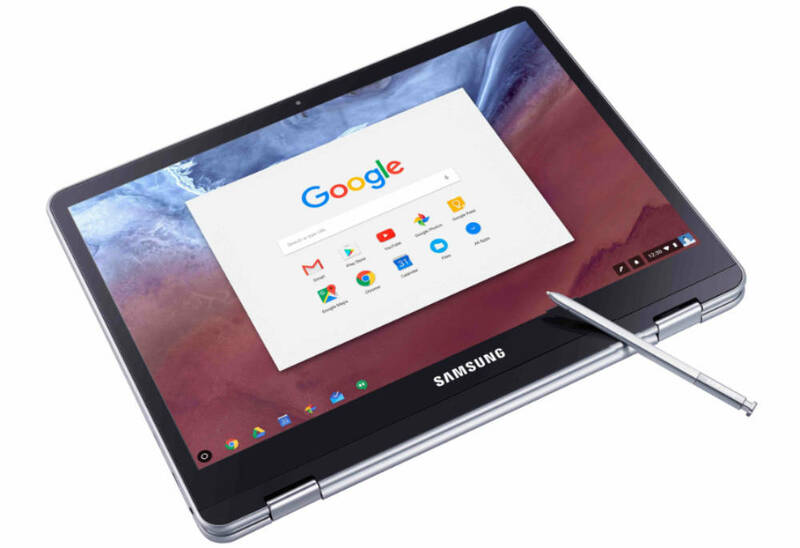 Second, the price comes in at Chromebook levels ($229 retail or $199.99 on sale). 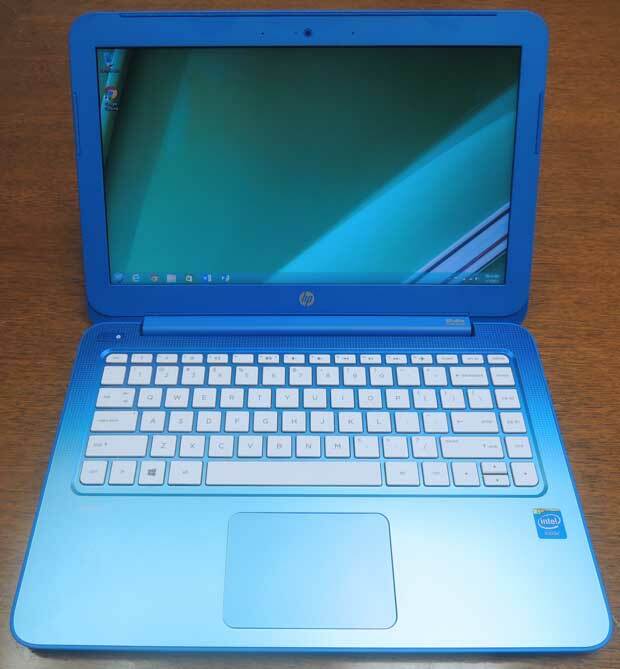 In fact the HP Stream 13 costs less than the HP Chromebook 14, unless the user finds a refurbished model or a great deal. The newer versions of the HP Chromebook 14 cost much more. Our third comparison comes from the specs that look a lot like a Chromebook’s. There’s only 2GB of RAM and 32GB of storage, an acceptable pair of figures on a Chromebook, but how does a Windows machine run on such meager hardware? More on that below. 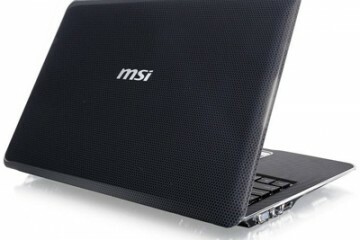 The computer runs on a fast booting 32GB SSD, which makes the machine boot faster than other Windows notebooks with larger traditional spinning hard drives. However, a recovery partition and the OS gobbles up half of the 32GB of storage. A recovery partition holds a copy of the operating system, driver software that helps the hardware run with the software, and pre-installed applications like Office. If a person’s computer gets messed up by a virus or some other problem, the person can boot from the recovery partition and restore the computer to the same state it came in. 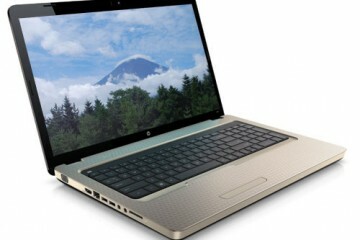 The HP Stream 13 only ships with 2GB of RAM and 32GB of storage. Is than enough to run Windows 8.1? Advanced Windows users free that space up by making external recovery media on a USB drive or by burning a DVD. Since they can boot from the USB drive or an external DVD drive, they delete the recovery partition to free up space. HP includes software to create such restore media. However, the machine won’t boot if a user deletes the recovery partition, and unlike most Windows PCs with recovery partitions, we couldn’t find a way to fix this boot problem even using the advanced methods people use on most computers with recovery partitions. The HP Stream 13 only comes with a micro-SD card slot making it inconvenient for those who wish to upload photos or videos from their point-and-shoot camera. A micro-SD card with up to 64GB of space can help. Put one in the machine and move personal files over to the drive. Get a fast card. The first one I used slowed down the system too much, so shop carefully for a fast card. The storage limitation makes the computer slow down as the 32GB drive fills up. It also means some users can’t install all of their favorite software or the programs will run slowly if they get installed on the micro-SD card. Who is the HP Stream 13 for? 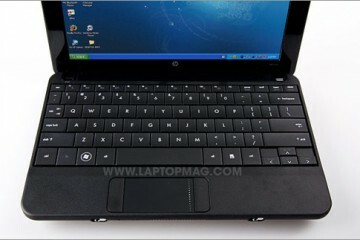 Like the Chromebook, the HP Stream 13 fits well into the lifestyle of a user who doesn’t need to run a lot of software. The typical user will spend most of their day online or in Microsoft Office, which comes with the machine. The free year of Office 365 Personal ($69.99 value) makes this a great machine for a student or business user on a tight budget. Gamers, media professionals and anyone who runs space-hogging software can’t use the HP Stream 13 without tearing their hair out, since the software either won’t install or won’t run acceptably on this extremely limited machine. The HP Chromebook 14 design matches the HP Stream 13 but with a smaller screen and better speakers. HP has a hit with this hardware design. They used it for the HP Chromebook 14, the HP Slatebook Android PC and now on the HP Stream 13 Windows notebook. The bright blue color with a dotted design around the keyboard that transitions from a darker blue in the back to a lighter blue towards the front near the trackpad looks great. There’s lots of plastic, but that keeps it cheap and light. At 3.4lbs it’s not the most svelte of ultrabooks, but it’s also not a beast. Most users won’t mind lugging it around in a bag or laptop sleeve. 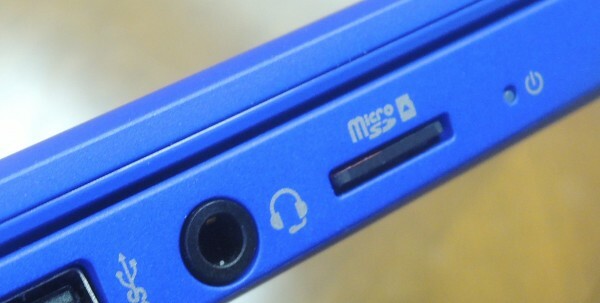 The ports come on the left and right with none on the front or back. Along the left there’s a Kensington lock, an HDMI output, 1 USB 2.0 port, a headphone/mic combo port, micro-SD card slot and a power indicator LED. The right side holds the power supply connector, a tiny LED that shows when it’s charging, and a pair of USB 3.0 ports. 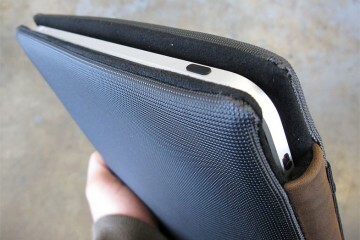 The tight hinge holds up the screen and requires two hands to open the notebook. The lid has some give when a person pushes on it, but it’s not a problem. For a $200 machine ($230 retail price) it’s well made and should hold up over time. Add an attractive design and color scheme and you get a good-looking, well-made notebook that’s sturdy and light enough for the road. 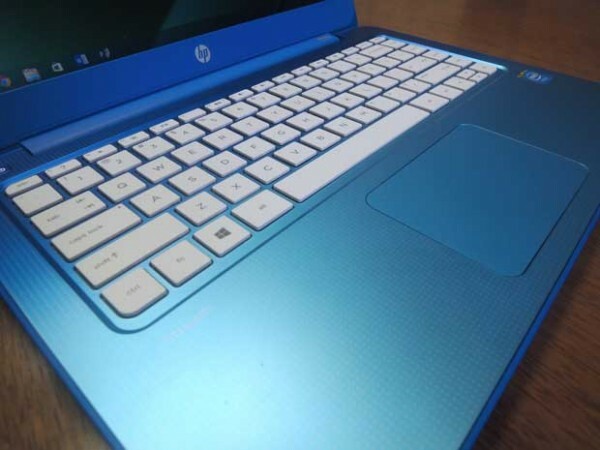 The HP Stream 13 gives us a great keyboard and a decent trackpad. The excellent keyboard makes typing comfortable. All the keys sit in the right places with a row of function keys above the number row that work like shortcut keys for media, volume and display brightness adjustments. One key toggles external displays. A function key lets users switch between these shortcut keys and traditional function keys for use in programs like Microsoft Office that take use of the F1 through F12 keys. A setting in the keyboard Control Panel applet lets users switch this so the F-keys work with a single press and the fn-key engages the shortcuts. You want to change the Smart Sense settings in the Mouse Control Panel applet to keep from accidentally tapping with your palms while typing. 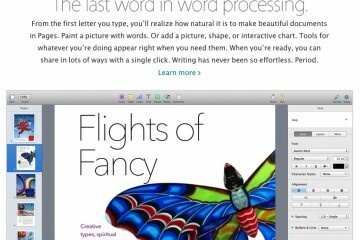 At only $200 it’s not surprising that there’s no backlight on the keyboard. That’s the only improvement we’d wish for on the keyboard. The multi-touch trackpad is responsive. It’s not as large as some computers, but large enough to make it useful. Users should change the trackpad sensitivity to keep from accidentally tapping while typing. Open Mouse settings in Control Panel and click on the Trackpad tab. Change the Smart Sense settings. The HP Stream 13 display limits the value because it’s dim and washed out. At only $229 retail or $200 on sale at the Microsoft online store, no one expects a high-quality display. 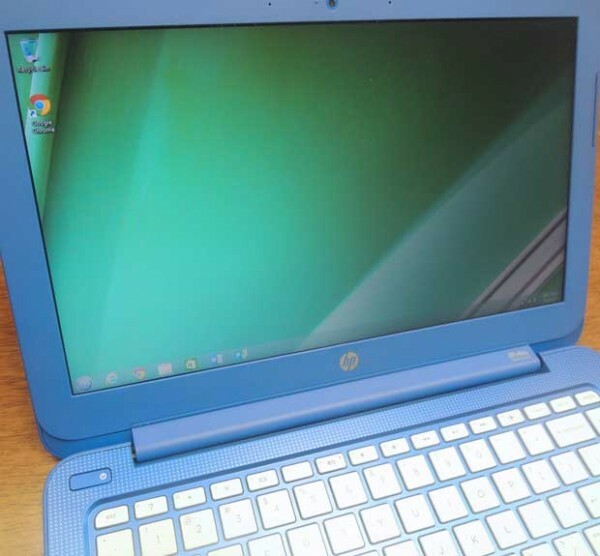 The HP Stream 13 with a low 1366×768 resolution display looks dim and washed out. Text doesn’t look at all crisp. The viewing angle is limited, so only a couple of people can view the screen comfortably at a time. The viewing angle on the HP Stream 13 is terrible and only 2 people can comfortably view the screen. To HP’s credit, the screen is not as glossy as the ones on most cheap laptops, making the machine usable in bright settings without needing to pump up the display brightness to 100%, which saves battery life. At 60% brightness levels the user can see the screen even in a bright room. Any lower and it’s hard to see, except in dark rooms or at night. 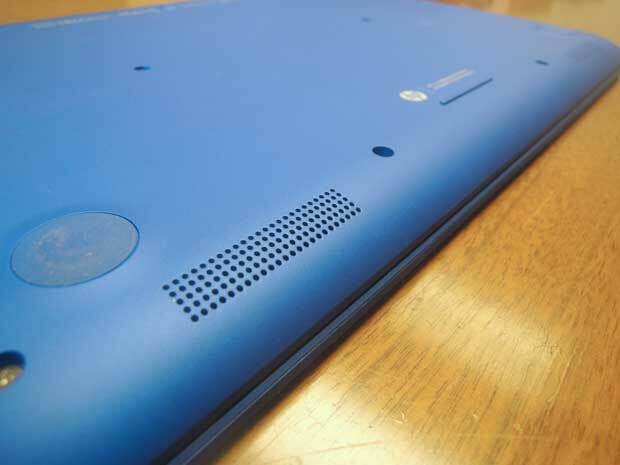 The HP Stream 13 runs quiet but occasionally the air flow out of these vents becomes noticeable. 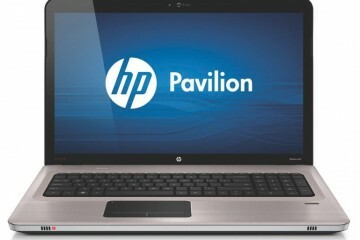 HP uses Intel’s Celeron N2820 processor with integrated graphics that shares the 2GB of RAM. That means graphics intensive tasks make the machine crawl, if they run at all. Install a beefy program that uses every bit of video memory a computer has and it barely runs on this machine. Running a browser with a few tabs or working in Office doesn’t tax the machine. But don’t expect to play any games that need much power at all. Don’t plan to do any serious video or photo editing either. The computer handles streaming HD video without a problem. The HP Stream struggled to run Octane, a popular benchmarking site that uses Java Script. It runs inside Chrome and many Chromebook power users rely on it to judge how speedy their machines run. 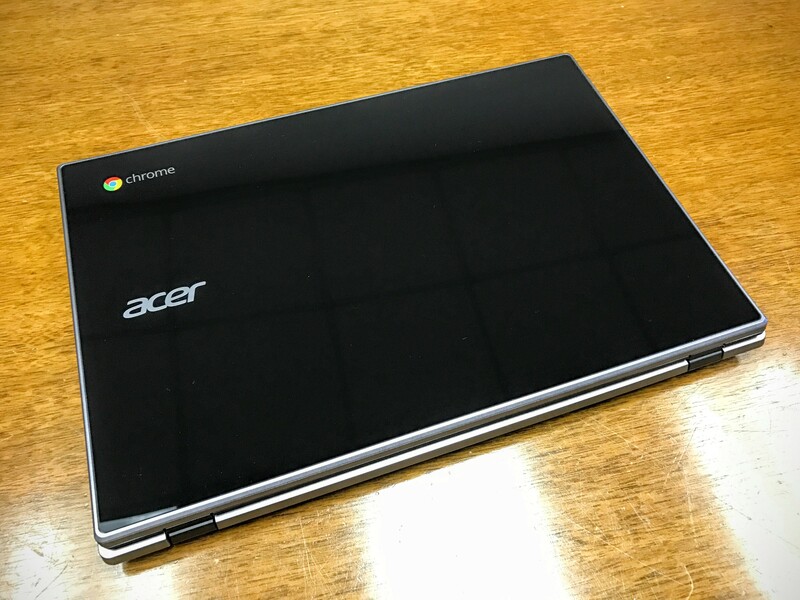 A fast Chromebook returns a score of 10,00o or more. Average Chromebooks come in between 8,000 and 10,000. 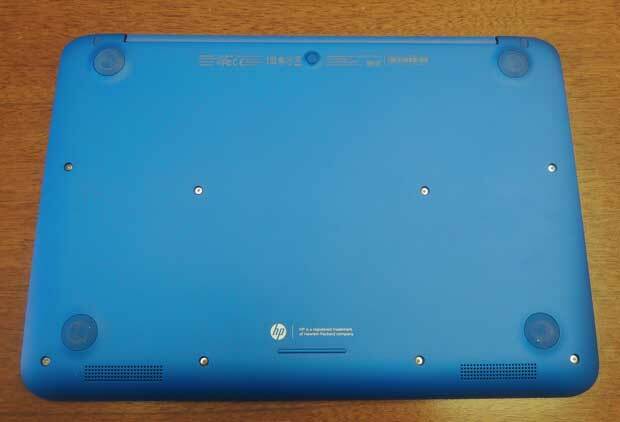 The HP Stream 13 returned an average score below 7,000. The battery lasts about 6 hours with the display set to 60% brightness. That’s not bad. Others reviewers rated it closer to 9 hours, but that’s in battery drain tests where the reviewer set brightness below 50%. The screen’s too dim to use at that level, so expect closer to 6-7 hours at usable levels. I also love the idea of a Chromebook, but need to run a couple of Windows-only programs. So the idea of the HP Stream enticed me to buy it, but I’m giving it to my wife because she fits the category of people who love the idea of a Chromebook, but need a couple of programs that won’t run on ChromeOS. If you don’t mind the limitations and want the low price, grab an HP Stream 13 from the Microsoft Store online for only $199.99. That’s the best deal we’ve seen online. HP also sells a version with a touch screen for $279.99 and one with 3G built-in for $299.99 although it’s currently out of stock. My school district is offering a $500 grant and I am trying to figure out what devices I should ask for. Can you recommend a low-cost device that would be good for: internet browsing, streaming video, using with microphones to record voice (ie. Google Voice)? I would prefer the device to have Microsoft programs, but the students in my district all get Office 365, and we could work around not having a Microsoft suite.